Hi friends! It's Alyssa here with a card that's been bouncing around my brain for a couple weeks now. 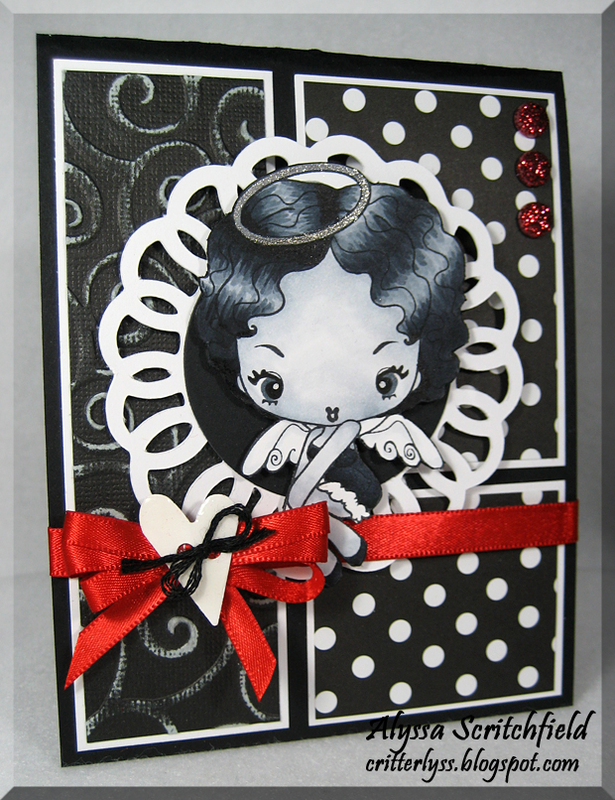 I've been wanting to try the technique of coloring in monochromatic shades, so I chose to color a black and white angel. 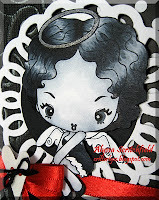 This is the angel from The Greeting Farm's Naughty or Nice set. She's colored in black and white monochromatic tones using all my cool gray Copics and just a little black in her hair. Her skin is colored with C3 in the most deeply shaded areas, C1 right up next to and flicking away from the C3 to blend, and the Colorless blender to pull it all together. Her hair is C5, C7, C9 and just a bit of black in the darkest areas. The bow is tied in three loops with the Bow Easy - I don't love the little tool, but it's a good $5 purchase. I couldn't have made that bow without it! The *button* is actually paper. I punched a heart out, punched out the button holes and covered it with Glossy Accents. Once it was dry, I tied a little bow with black embroidery floss and added it on top of the red bow with a glue dot. 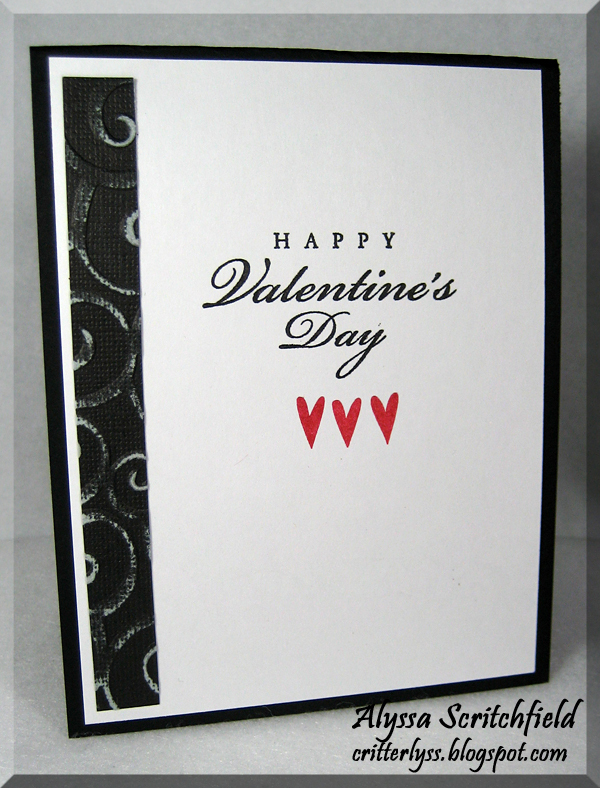 STAMPS: The Greeting Farm Naughty or Nice; SU sentiment and hearts ??? 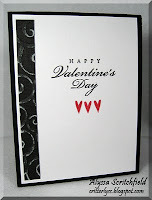 PAPER: PTI True Black, SS White &amp; B/W dp; textured white core black paper ?? ?